First off, I love this face mask! I got it at Marshalls but I found it online here. The thing is, I used this right after I went to the gym to obviously clean up ma face. And I must say it did clean me up pretty good! I have really dry skin…. and it did kinda dry me out a little. But, I moisturized and it was perfect! I recommend using it about once every two weeks or so! As it is a therapy for your face! Also my favorite part, the silicone brush that comes with it! lol. Second of all, this dip pomade! This is an incredible thing to have. Its super popular and I wanted to see why! I totally get it. It’s the perfect shade (they have a lot) and I love the clean look and finish of it! This isn’t necessarily a February Favorite as much as an actual everyday every month favorite. But, I do wanna share it with you! This born this way foundation is the best thing ever! The back story of this beauty was that my face was really super dry for the longest time and I couldn’t understand why. So I went to Sephora to get an exfoliator, they recommended a foundation (they let me try this and it’s another fav but a little expensive) and I got Born This Way at Ulta! I love it! And I 1000% recommend if you have dry skin like me! So creamy and medium-to-full coverage! Next, a weird but an awesome thing that I feel that people over estimate if they go to the gym- A jump rope. I thought it was kinda silly and super easy to do, not really a workout. But seriously, it’s such a good workout! 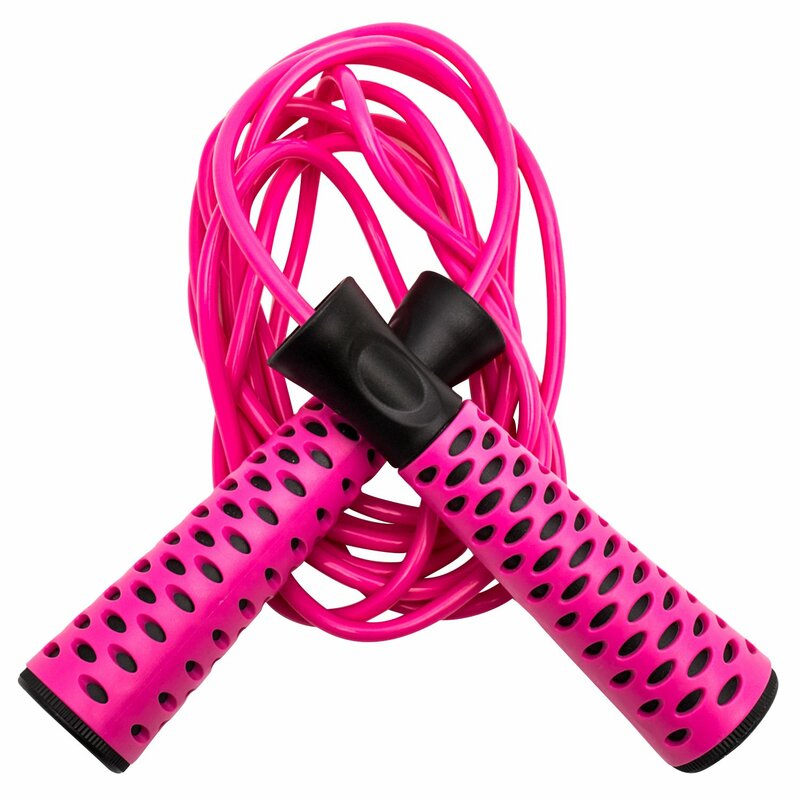 This particular jump rope is great because it’s super light-weight and it’s 10 ft, it’s also adjustable! The best part… It’s pink! Another gym item! This bad boy has made my life S O O O much easier. Seriously!!! I always used a water bottle and I’ll be the first to say it’s not the easiest thing in the world to drink up and run on the treadmill. THIS beautiful bottle saved my life. It comes with that straw and the little hole so you can hold it and it’s another pink thing… So win-win. This candle is a gift I gave to Ashy for Valentine’s Day. Needless to say, he loved it. And I will testify that this is a really good smelling candle! Champagne is such a great smeelllll and I love it. It gives such a clean, beautiful smell and I love using it for the bedroom!